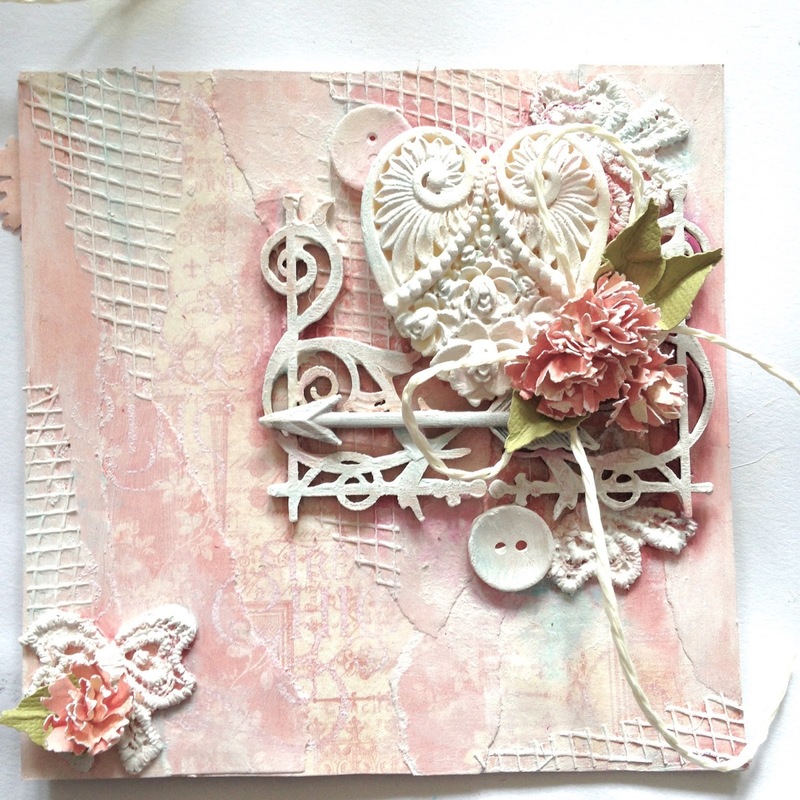 Hiya, Georgie here, and for this Saturday Step x Step I'm sharing one way of doing a mixed media cluster on a card. I know a lot of people starting out in mixed media feel a little nervous or unsure about how to proceed, or what order to do things in (there are many), so I thought I'd share one way in which I create a mixed media piece! 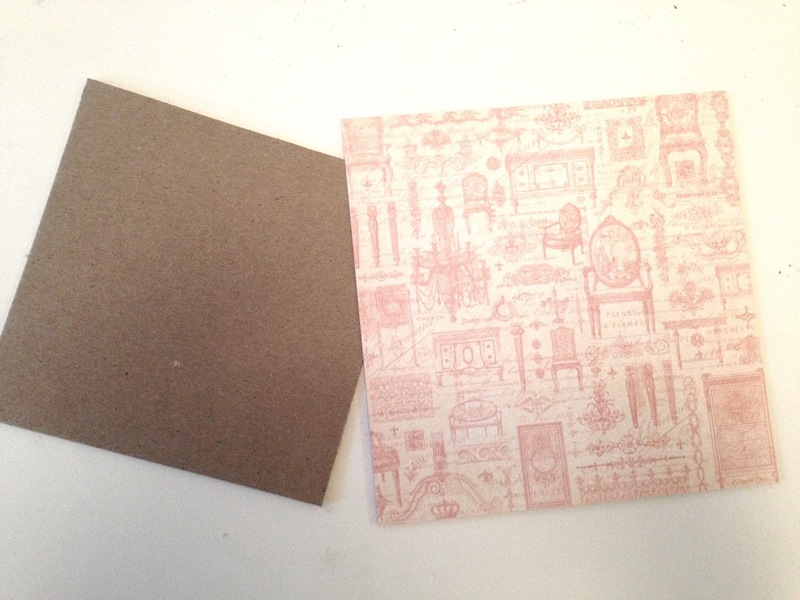 Take a sheet of either 6x6 or 8x8 paper (this is from Graphic 45's Gilded Lily collection) and stick to some board. This allows you to add mediums without risk of too much buckling. Tear up some strips from the corresponding papers in the pack - I went with a pink theme. 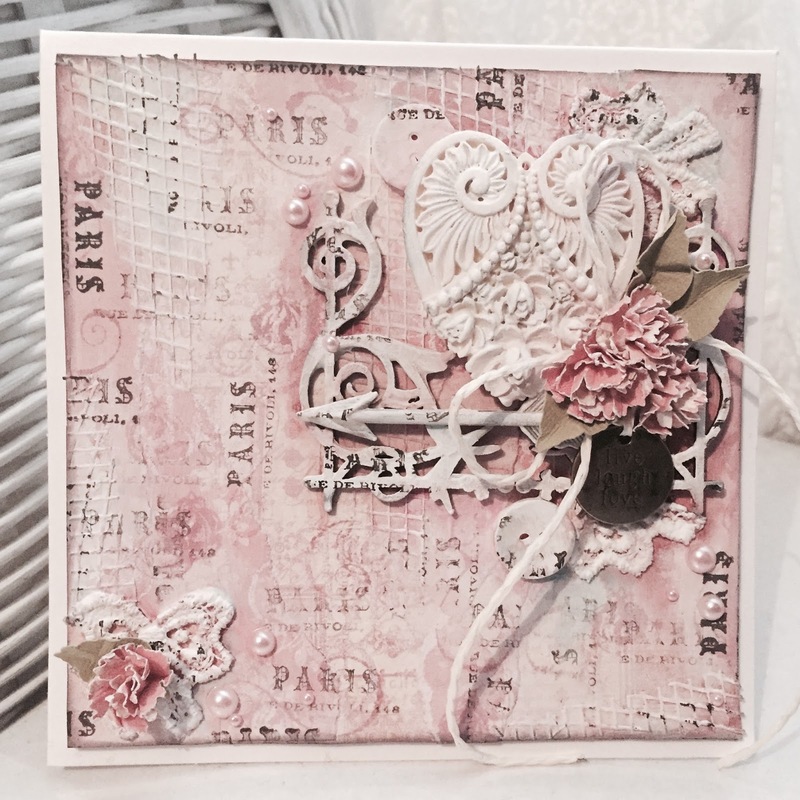 Start to add a bit of interest with some stamps and embossing powder to build up a background. 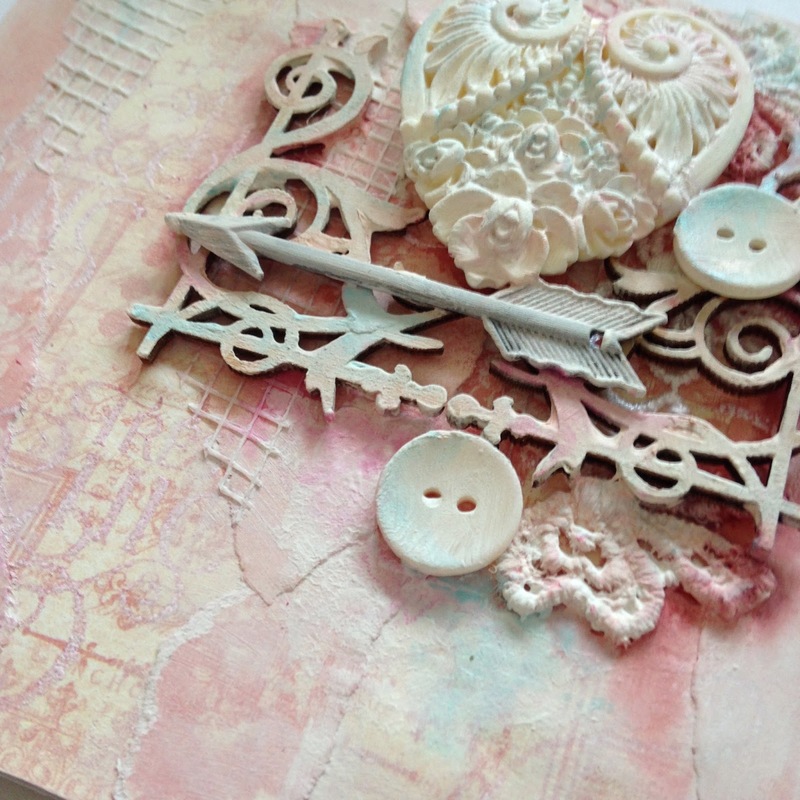 Add your elements you want to use, just arrange them in a layout which is appealing to you, but I find asymmetry is always good for mixed media. So your main cluster in one place, then something a little smaller in an opposite corner. Paint over everything with a couple of coats of white gesso. This knocks everything back to give a blank canvas again, ready for some colour, although you could skip the colour, just lead with this, as it looks pretty on its own and add flowers. I know people say start with light colours first and go darker but in this case when working with permanent paints I find it easier to work with darker and go lighter as this keeps the knocking back process going. Here I've used a darker red (Aged Mahogany Distress Paint) to shadow some areas. Next using a lighter pink add it over some of the red and and to other higher areas. When it comes to these paints, I like to work from the lid, especially if I don't need much - saves wastage or avoids adding too much to your paint brush. Here I went in with a soft blue to add a different colour. Next add further embellies, I went with flowers and some jute. 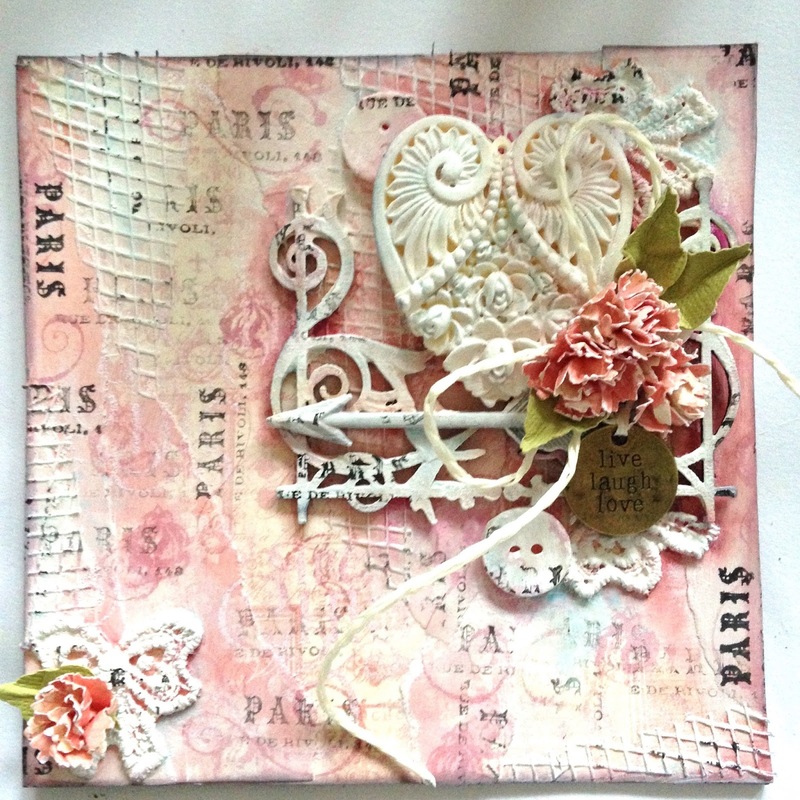 Using the new punch from Tim Holtz, think this was the medium flower, punch out three per flower, mist with water. Scrunch. Dry with heat gun. Sit them one in the other and voila, you have these... :) The same as what I do with the big tattered florals but on a smaller scale and perfect size for clusters or filling out a big cluster. Plus I made these three in less than ten mins!! The leaves were cut using his medium Leaf Punch, quick and easy!! You could leave as it was above, looks perfect shabby but I wanted something more, so some light and heavy stamping was added. 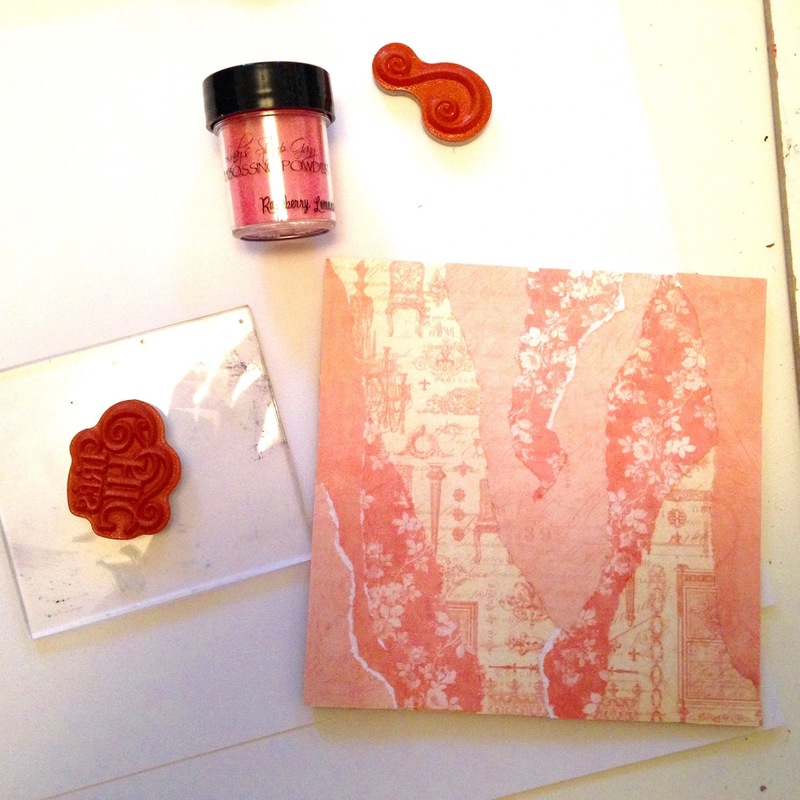 I love this stamp set from G45, Gilded Lily. 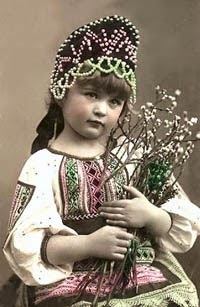 So that's it from me today, hope you all have a lovely sparkly weekend. Happy Friday, everyone! 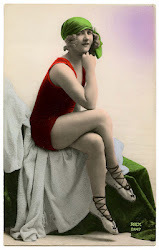 It's Shelly here to share my Friday Focus project with you. Friday Focus is a time when we highlight a particular product from The Funkie Junkie Boutique. As an extra bonus, customers receive 15% off of the product for the next two weeks - nice! 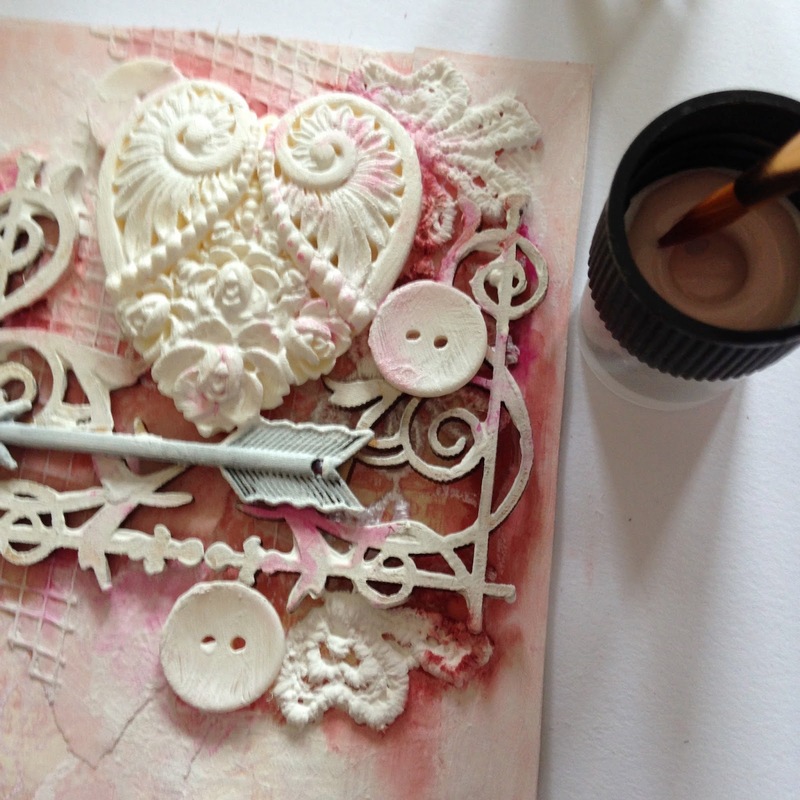 Today, we're exploring Sizzix dies and all the wonderful things you can do with them. This post is just the tip of the iceberg - Sizzix dies are incredibly versatile and I could seriously write a book about the different ways I like to create with them! I love cooking shows like Top Chef and, when I was thinking about what I'd do, I remembered how chefs love to make one item in three different ways. I thought that was a great idea for a focus! I wanted to show how a steel rule die can cut many different materials, and also how it can look different depending on how you style it. Let's get started with our 'One Die, Three Ways', featuring the Bird Silhouette die from Sizzix! First up, we have a steampunk-style tag. 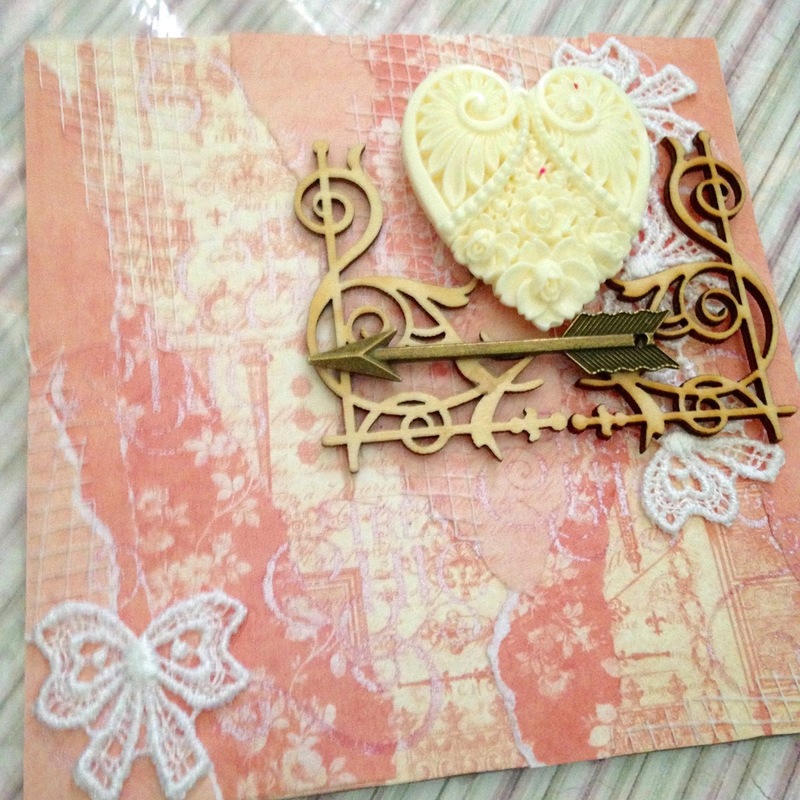 To create the base of the tag, I used Tim Holtz's Eroded Metal technique. When it was dry, I added black inking around the edges. You can find this technique in Tim's book - Compendium of Curiosities Volume 3. Next, I covered a piece of Grungeboard with Ranger's Foil Tape and die cut the bird using the Sizzix Bird Silhouette die. 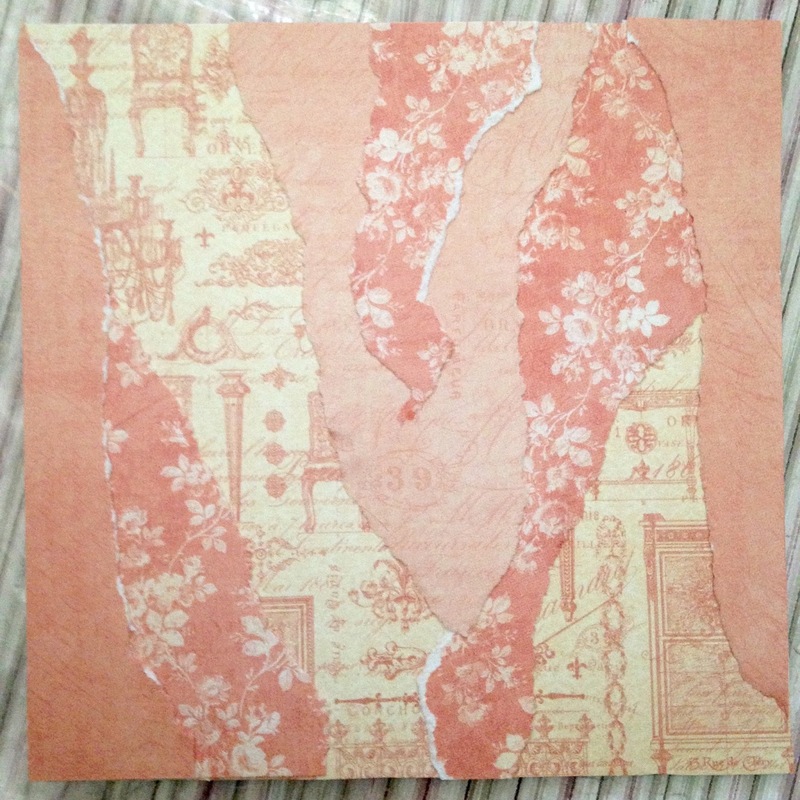 After it was die cut, I embossed it with the Gears Texture Fade. To grunge up the bird, I covered it with Black Soot Distress paint and wiped it off, leave some in the cracks. I added Tissue Tape and Remnant Rubs, and tied the tag with a bit of Jute String. I finished my steampunk bird with a winder, a Mini Gear eye, and a fitting sentiment. One tag down - perfect for all you grunge lovers! Next, we'll make a pretty, artsy tag. Begin by covering a piece of Grungeboard with Sticky Back Canvas. Die cut the bird. 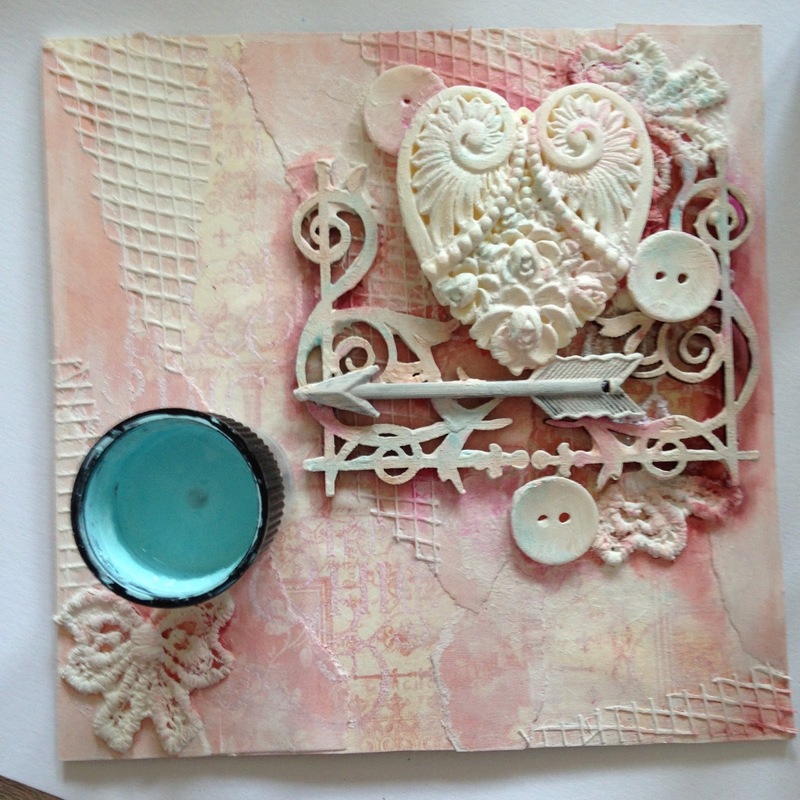 Using Tim Holtz's Flourish stencil apply Texture Paste to bird. Set aside to dry. While the Texture Paste is drying, cover a manila tag with Tissue Wrap. 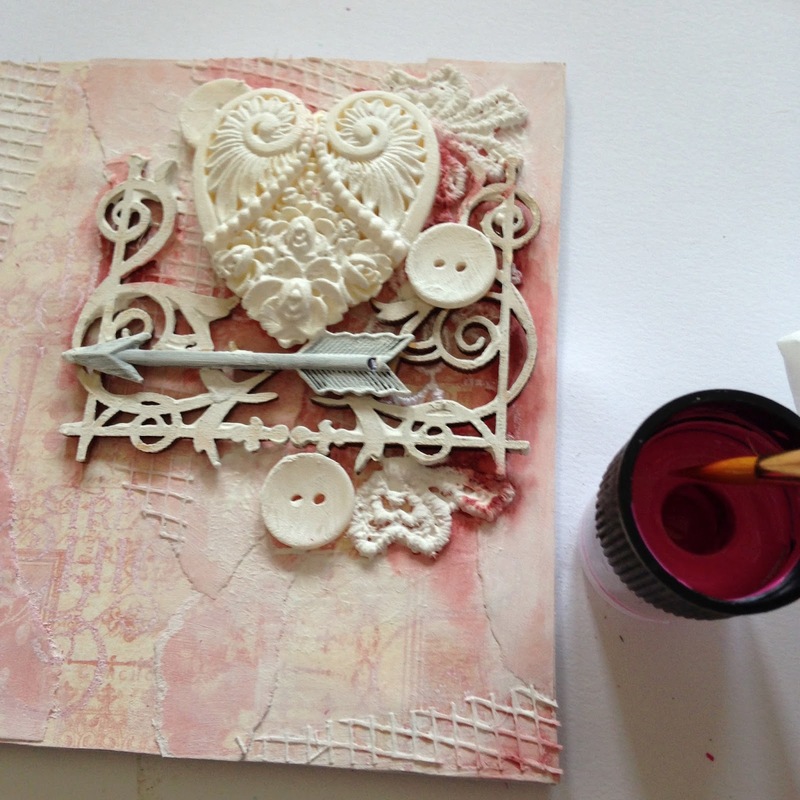 Paint with Picket Fence Distress paint and let dry completely. When the Texture Paste on the bird is completely dry, spritz a nonstick craft sheet with Tumbled Glass and Cracked Pistachio Distress Stain Sprays. Place the bird face down into the ink and drag through. You may have to spritz with more water and/or ink to get the color you want (sorry I don't have a pic of the actual bird in this step!). Set aside to dry, or dry with a heat tool. To finish the background, I added some circles of paint made with the lid of the Distress Dabber (handy! ), plus some strips of Tissue Tape. Here's our pretty little bird tag all done! I added a ribbon made with seam binding and more of the same Distress Stain Spray colors, plus a Word Band. This one just might be my favorite! And now for our final tag - which is definitely the easiest for those of you in a hurry. 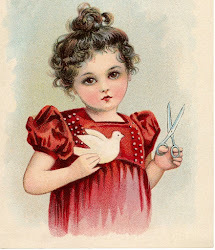 Begin by cutting the bird from burlap paper. Ink the edges with Gathered Twigs Distress Ink. 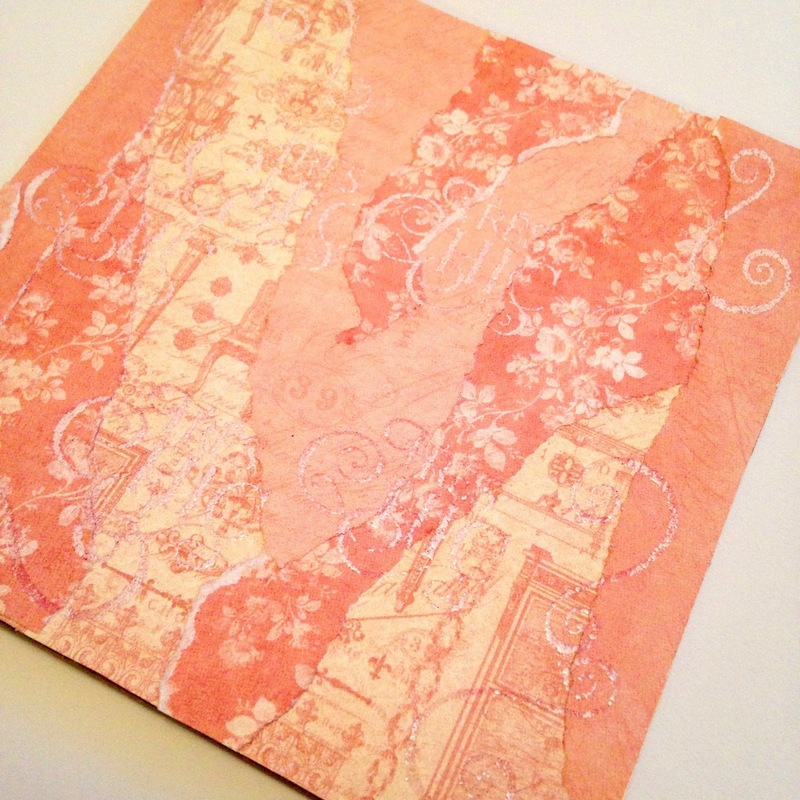 Next, cover a tag with paper from Tim's Menagerie Paper Stash. 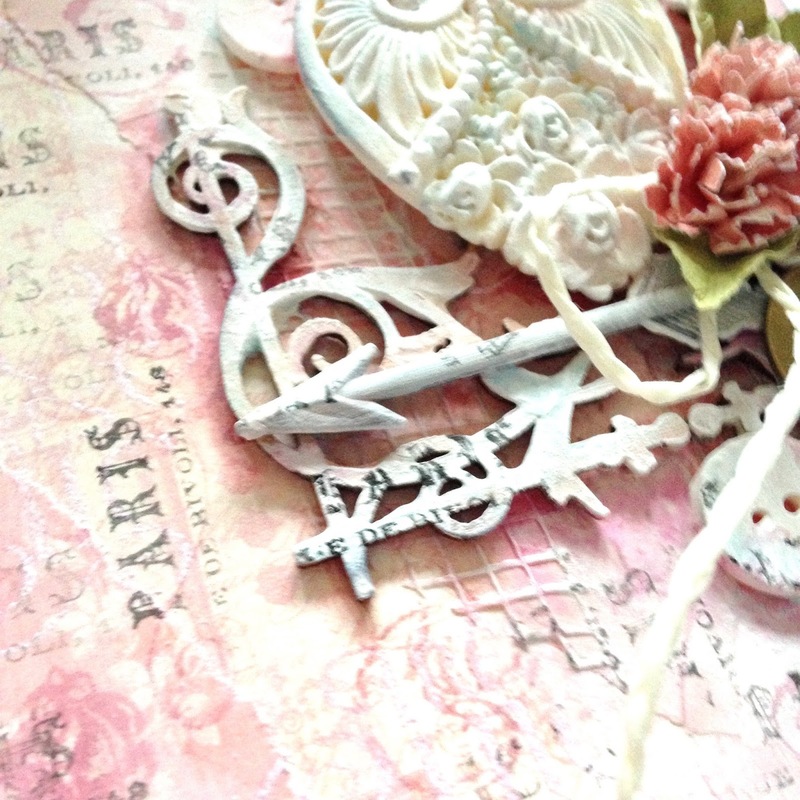 Add bits and piece of ephemera and Design Tape. Sand the edges and tie with a length of Jute String. Apply a sentiment from the Life Quotes Remnant Rubs to the bird and add a brad for an eye. To embellish the tag, I added an idea-ology Pen Nib, Heirloom Roses, and tied the top with a ribbon, Loop Pin, and Philosophy Tag. 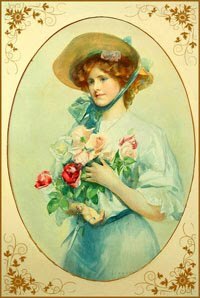 I love the femininity of this one - so shabby! 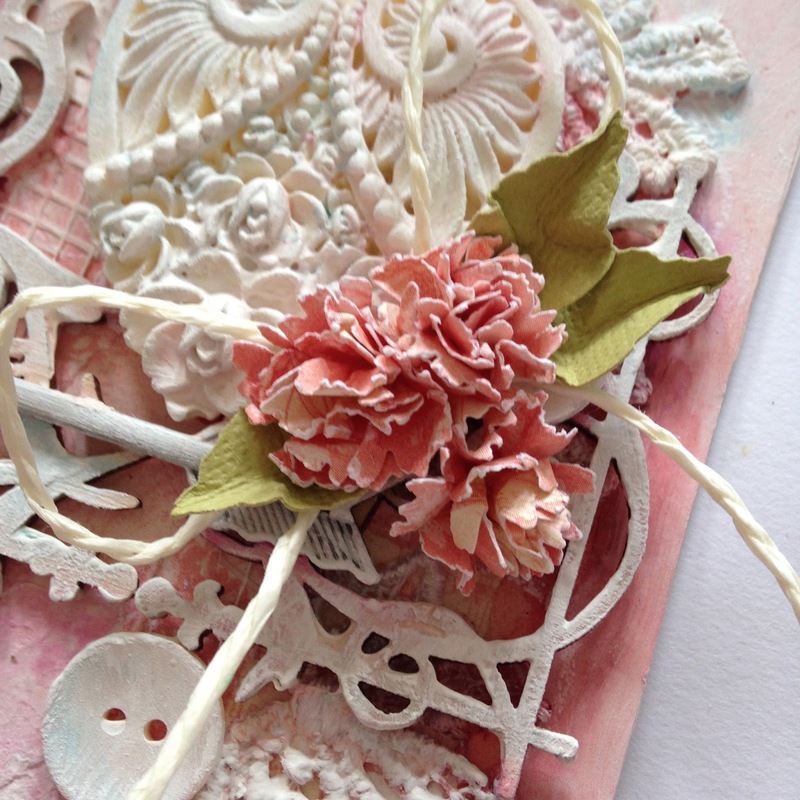 I hope I've shown you a few different ways you can use your Sizzix dies today. There is no end to the variety of materials you can cut and ways you can embellish them - you could even mix and match the techniques shown above and come up with three (or) more totally unique tags! Don't forget - for the next two weeks you'll save 15% on all Sizzix products at The Funkie Junkie Boutique. What a perfect time to build your stash! 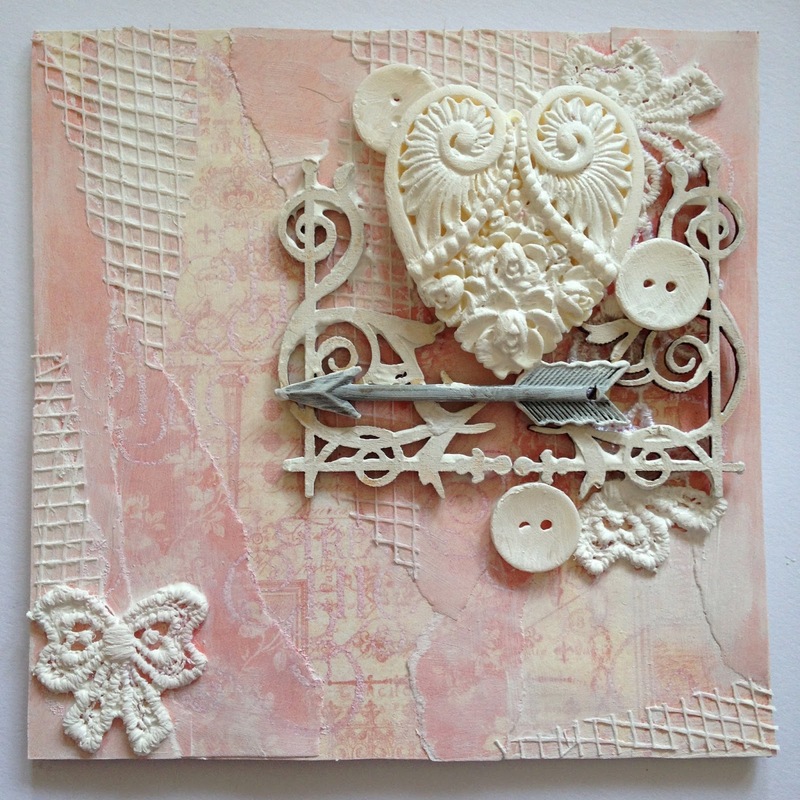 Welcome to today's Guest Designer, Kathy! Challenge Winners - It's Summer! Welcome to today's Guest Designer, Mona!